The first official release to feature Michael Knott. His pariticpation in this project seemed to be minimal at best. 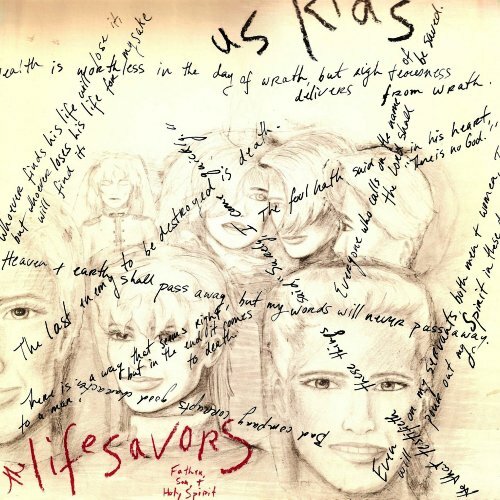 The Lifesavors were an early New Wave/Punk band – one of the first Christian bands to ever have this sound. Re-released in 1990 on Key records. Re-released in 1999 on M8 Records with bonus tracks. Re-leased in 2012 to digital outlets like Spotify and iTunes. The image on the middle left is from the 1990 Key Records release. The image on the bottom left is from the 2012 digital release. 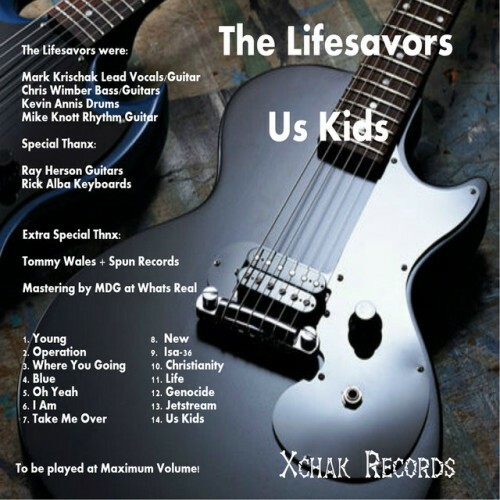 the first real christian punk rock album ever made…. Question about this – Why is the song order different from the original LP? I just checked my vinyl copy, and the song order is correct. 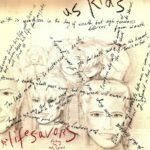 Us Kids was one of the first christian music I ever listened to. Great stuff. I also started listening to Undercover shortly after. Regarding the bonus tracks on this album. These songs were not songs from the band “The Lifesavors”. They were songs from a band called The Jaded, which Mark Krishcak was also the singer and frontman. They were from the Fullerton/Orange area and played around from 1990 to 1992. The Jaded was not a Christian band. Why these songs were added to another bands album as bonus songs is a little strange. 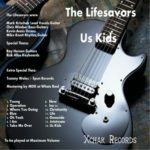 The band members for this recording was: Mark Krischak – vocals, Phil Hanson – drums (Phil went on to play in Gameface and Starpool), Brett Rasmussen – bass (Brett went on to form Ignite), Mike Field – guitar. Other members to play and/or record with The Jaded during that era were Mark Hine – drums (The Dead Armadillos from Oklahoma), Doug Osterkamp (Spinning Fish) and briefly Ron Welty (Offspring). None of The Jaded recordings were ever officially released. Mike Knott stopped me on my bike as I rode by his house in 79′ (I lived around the corner). He played some songs for me. 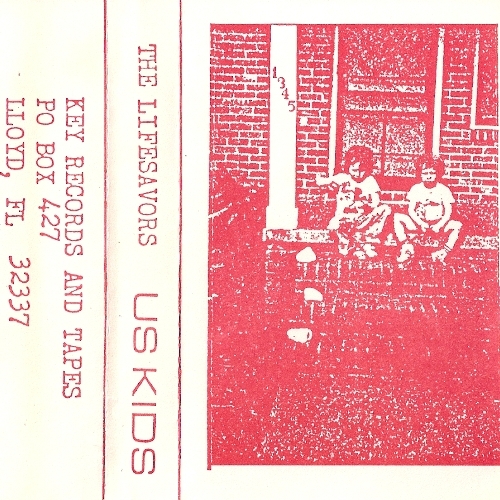 Sev months later I saw The Lifesavors live at cccm. Years later we all enjoyed Idol Lovell at The Golden Bear in Huntington Beach and once in Hollywood I think. Got in a band myself – Mike borrowed our Yamaha Speakers and Microphones for a show at the Costa Mesa Community Center and they were returned with Idol L white clown make-up smeared over everything. I was so pissed. But looking back, that was the the good stuff – the precious memories of friendship. White clown make-up! Really?! Yes, i’d smear it everywhere right now if I could only find Mike Knott. Thanks for the fun music that made life Amazing !! 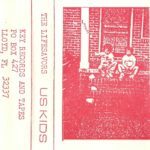 Us Kids is still a favorite of mine and help steer me in the right direction. Wonder why, on the re-release version at the end of the song New, why someone decided to cut off the last line. My cassette has: ‘Cause Jesus Christ is totally real and I love Him. Still Love Us Kids and Jesus.